A waterfall of data could cut solar O&M costs. Computer screen dashboards that monitor renewable energy systems and report field data are now commonplace. Locus Energy believes it has an edge there. There are four key components to those proprietary analytics, De Luca said: virtual irradiance, an expected performance model, a waterfall analysis and the forecasting of solar output. These analytics are enhanced by the feedback of data from the more than 15,000 solar systems to which Locus Energy has access. Companies like 3Tier and Clean Power Research use the same publicly available NASA satellite imagery to determine solar irradiance, De Luca said. But they offer standalone data sets, whereas Locus integrates that with its data from those 15,000 sites, which essentially act as solar sensors and tell the Locus system how accurate its calculations are. 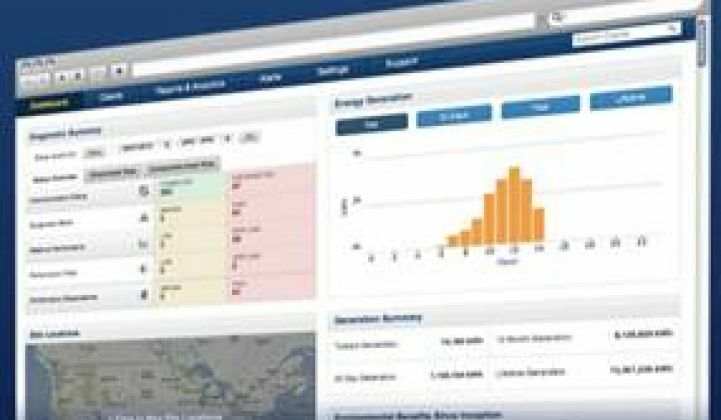 Another group of companies provide dashboards with solar performance data. They include, De Luca said, “Power One (NASDAQ:PWER), which bought two of the original providers, Fat Spaniel and Energy Recommerce, Draker, which focuses on commercial and utility systems, DECK Monitoring, and Also Energy." None, he said, have Locus Energy’s reach. Locus Energy began building its 15,000-solar-sensor network when it was chosen by the state of Connecticut to install smart meters in 1,000 homes participating in a very early solar system third-party-ownership (TPO) financing plan. That was 2008. 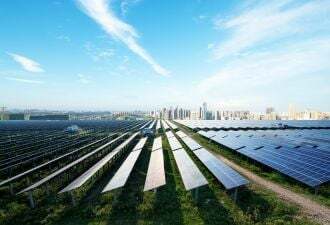 At present, Locus data source partners are many of the leading TPO players, including Clean Power Finance and Sungevity, as well as major solar builders and suppliers, including NRG Energy (NYSE:NRG) and Dow PowerHouse (NYSE:DOW), and electronics providers, including Tigo and Growatt. The expected performance model is a formula, De Luca said. 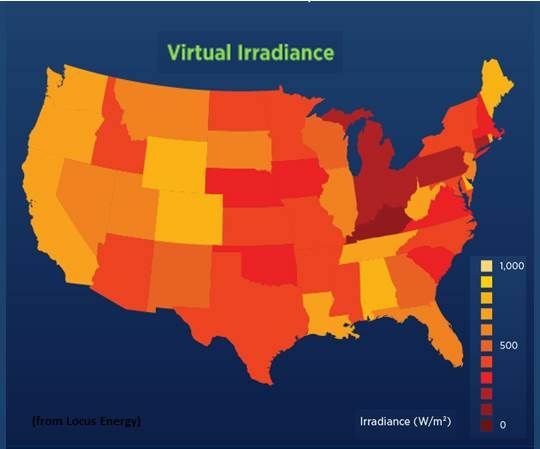 Like comparable formulas developed by NREL and PVsyst, it combines irradiance with a range of system details to produce an expected power output in kilowatts. 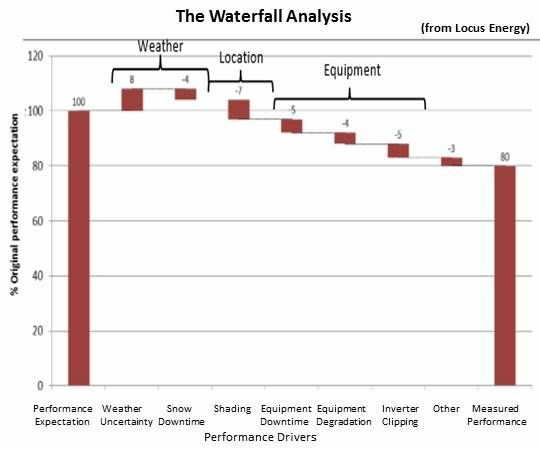 The system’s Waterfall Analysis uses a range of algorithms and empirical models to identify which of a set of six factors is causing a difference between a system’s expected and measured performances. The six factors are: weather uncertainty, snow downtime, shading, equipment downtime, equipment degradation, inverter clipping, and other causes. The calculation is made because the system can recognize and distinguish between the performance deviation profile of each of the factors. Such an analysis could make a critical difference in solar industry operations and maintenance, De Luca noted. “The industry is still grasping at straws on the most efficient way to look at performance data and decide whether it is worth the time to send someone into the field,” he said. The forecasting of solar output does with forecasting data what the expected performance model does with historical data. “The models we currently have go to ten days out,” De Luca said. But the analysis is based on three different sets of meteorological data, Thornton noted, one for up to six hours ahead, one from six hours to ten days ahead and a basic weather report for beyond ten days. The Locus Energy service is sold in different ways, De Luca said. The newest generation of the core smart meter hardware and a five-year software license is $600. Utility-scale systems can be $10,000 or more.